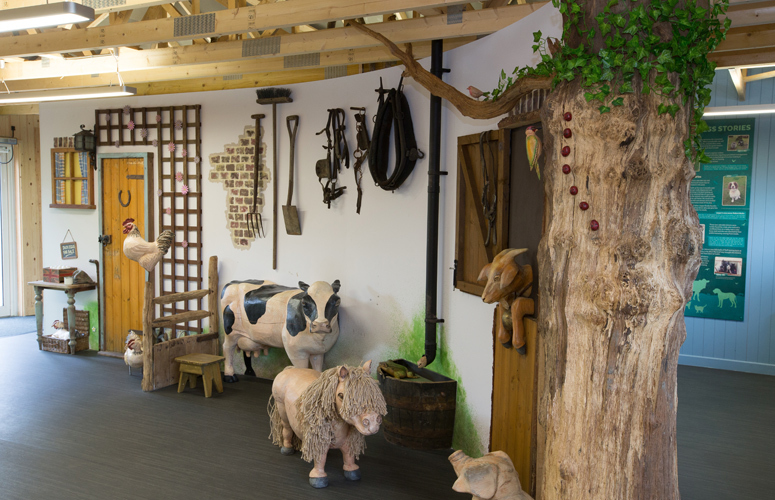 Ferne Animal Sanctuary is a charity organisation who rescue and re-home animals. 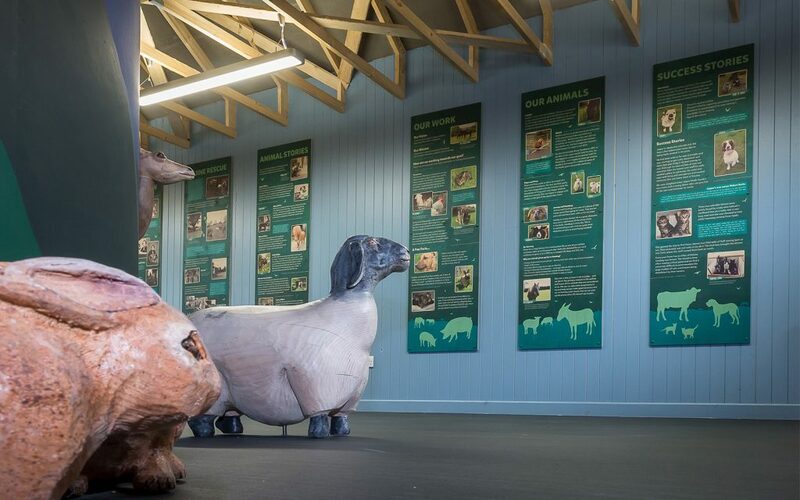 It was founded by the late Nina Douglas-Hamilton, Duchess of Hamilton and Brandon at the beginning of the Second World War and 75 years later the Sanctuary is still acting as a refuge for animals of all shapes and sizes from across the county and beyond. We were contacted by Ferne and were told of the news that longtime Friend of Ferne and animal lover, Rona Harmon had sadly passed away. 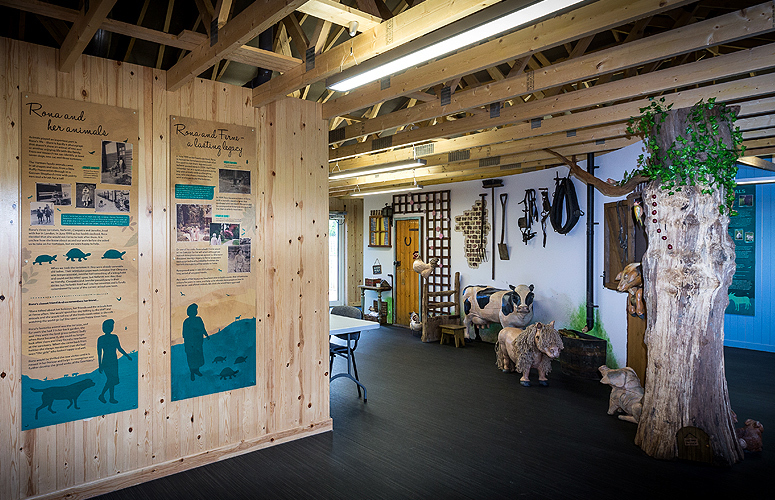 Rona had kindly left the majority of her estate to Ferne and as a result of her legacy they were able to build a centre that will welcome visitors for years to come and educate them on how to take better care of animals. 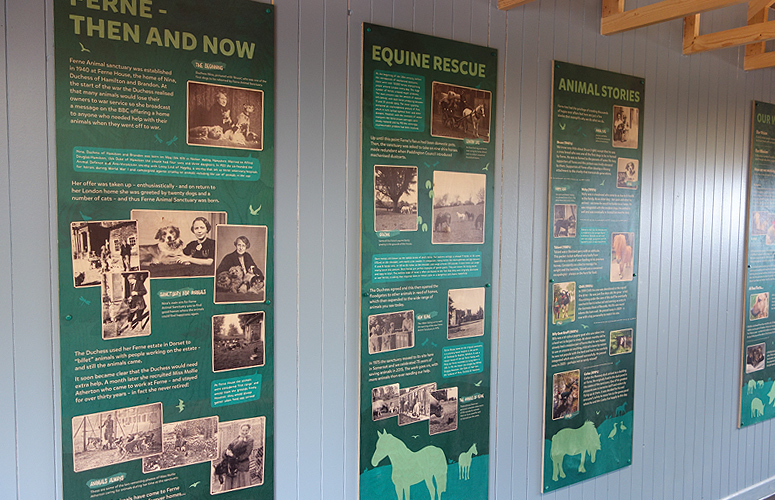 The project saw us create nine interpretation panels, three of which told the story of Rona’s life and the animals she loved, with the other six telling the story of the Sanctuary and the animals they have re-homed and cared for. 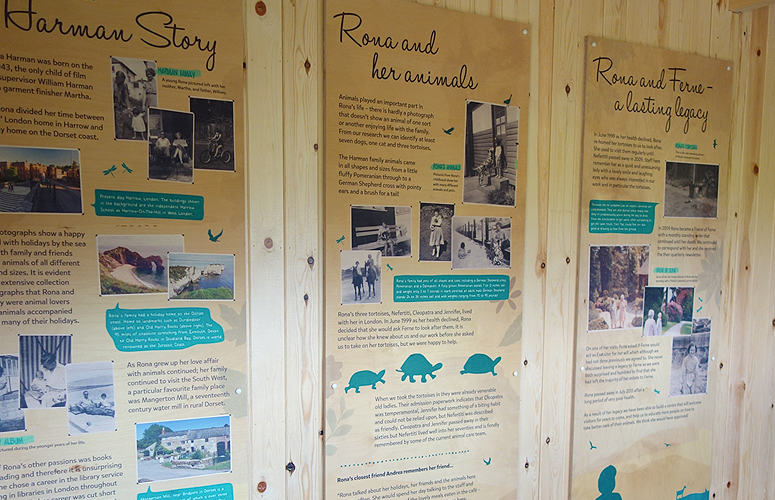 It was a heart warming project to work on and we are really pleased with how the panels look. 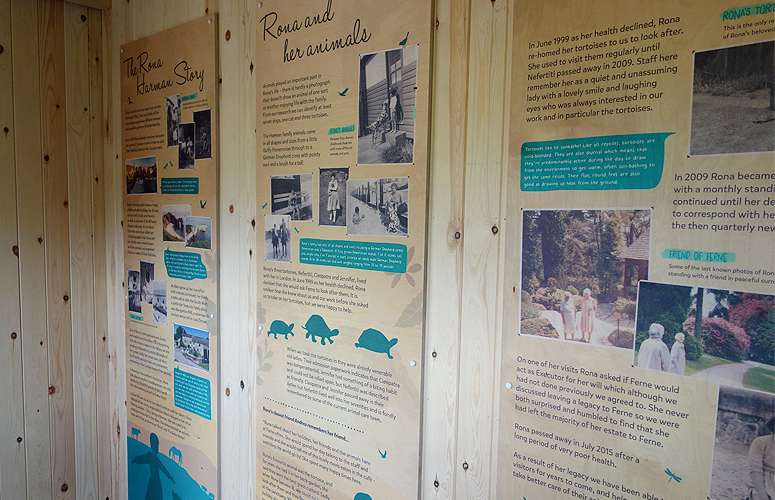 The Blackdown Hills along the Somerset-Devon border were the inspiration behind the landscapes at the base of each board. We also used a range of silhouettes and animal and human silhouettes which was complemented with leaf and plant textures. 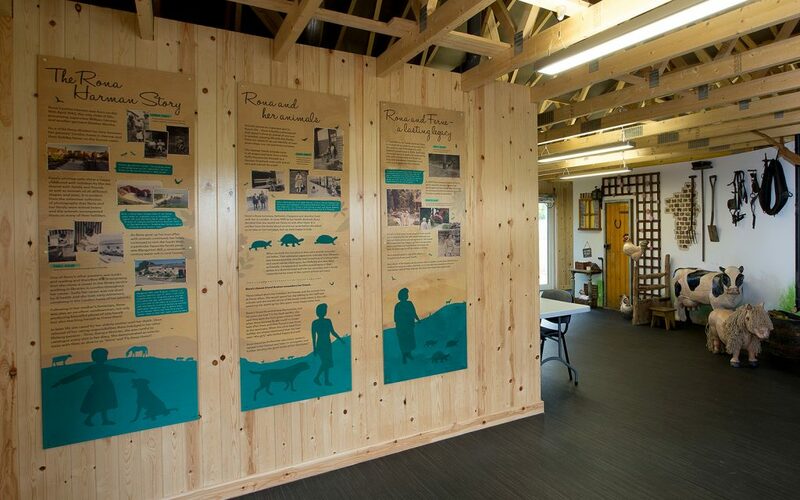 The artwork itself was printed directly onto plywood to provide texture to the stories. 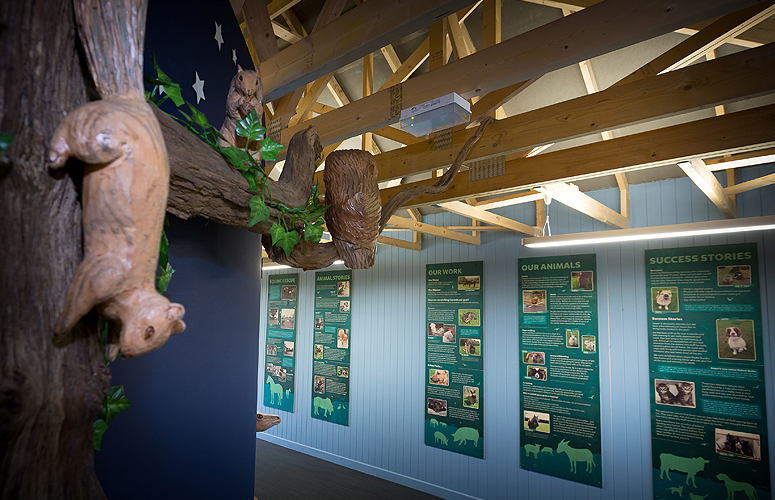 We’ve created interpretation designs for a number of clients, including Seaton Jurassic, UNSEO Global Geopark and Torbay Coast and Countryside Trust. Let us know how we can help with your next print or graphic project. Get in touch via out contact page.